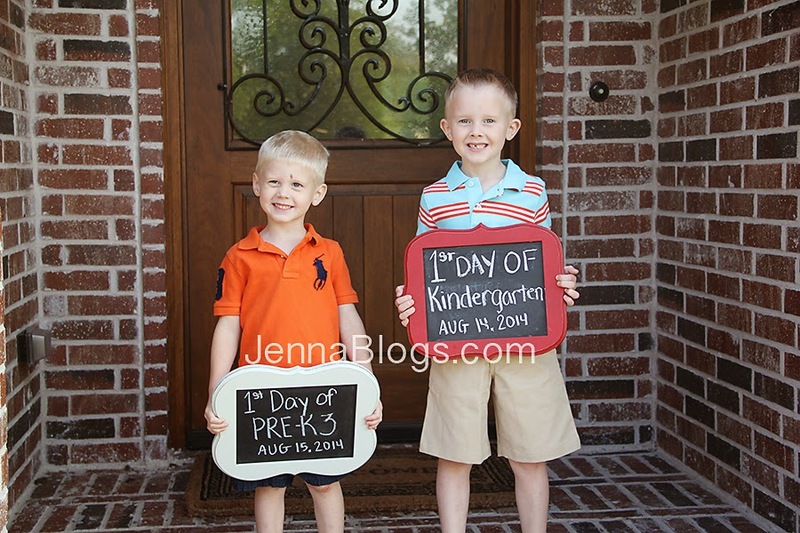 Jenna Blogs: First Day of Kindergarten & Pre-K! I can't believe I'm writing this, but I have a kindergartener. I used to think people just said that "it goes by in the blink of an eye" to be cute, but it turns out they're telling the truth. It really does fly by. Last Thursday was Brayden's very first day of elementary school. His first, first day you might say. I've been crying all week at the last first day pictures on Facebook of friends who are sending their seniors off to school, so I'm grateful that this was just our "first, first" day. Even the kindergarteners at our school get dropped off and picked up via car line. On Brayden's second day, he was escorted to class by three senior girls (we walked him in on his first day). Needless to say, he loves carline. 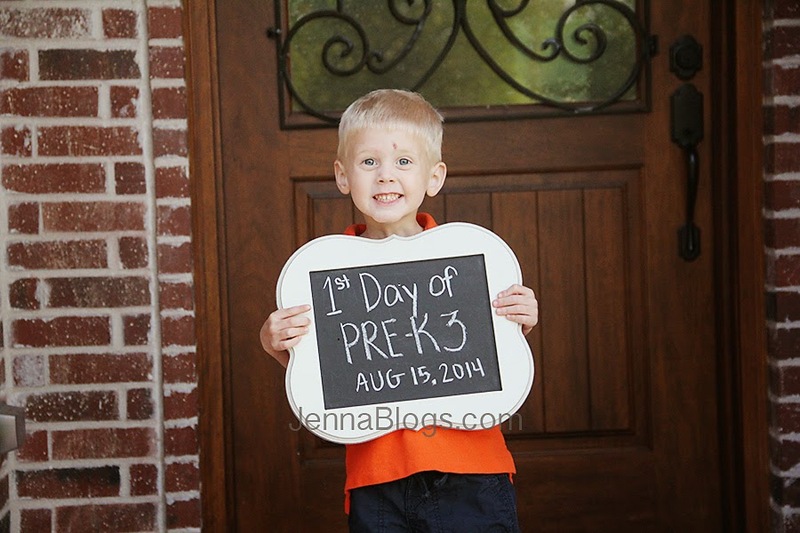 Brody also started school - Pre-K! 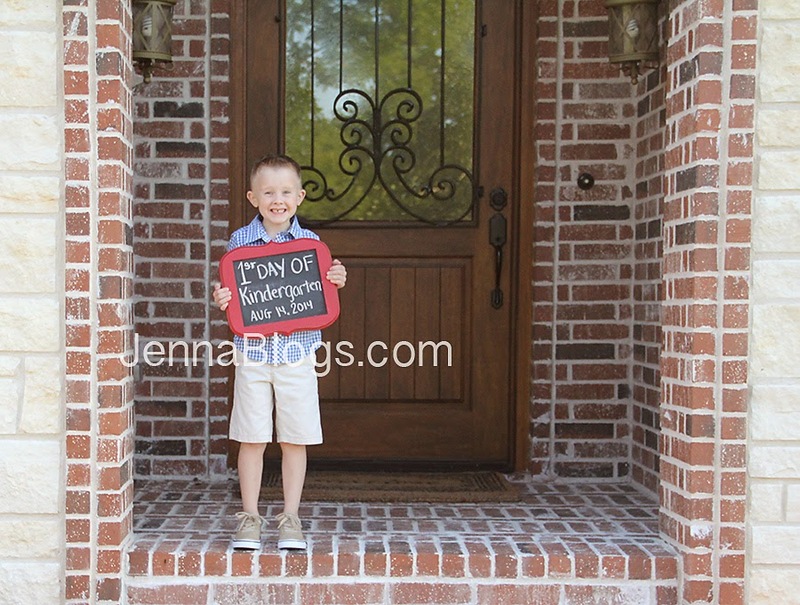 We love that he has Brayden's pre-k teacher. She is so nice and really loves our kids. Brody took a spill on his bike the night before his first day of school, hence the scratch on his face. I'm so glad that they both love going to school. Brayden is ridiculously excited over getting homework. 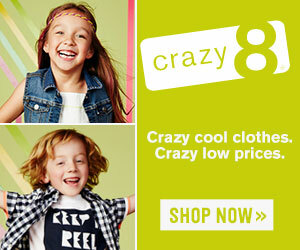 Do all kindergarteners get homework? Is that a common thing now? It seems like when I was a kid we didn't really get homework until the second or third grade.